Of course, we all believe that membership efforts are important, if not critical, objectives for our Rotary clubs. Without new members, our clubs will lack longevity, revitalized energy and creativity and a reduced ability to achieve important goals. But do we take the challenge seriously? Is membership placed high enough in the priority list? Is the leadership emphasizing membership objectives in a rigorous, meaningful and results-oriented manner? Are the club’s activities, agendas and members focused appropriately to achieve the objective of a continuous, consistent and consensus-based membership effort. It may be appropriate to first examine the current membership. 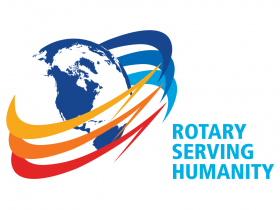 How satisfied are they with your Rotary club? How can you tell? What are your attendance statistics? What is your retention rate? Are all your members engaged and involved in most activities of your club? What are your Foundation-giving statistics? Is everyone satisfied with the agenda, venue, meeting times, meals, fees and costs, annual projects, fundraisers and community efforts? What about the profile of your membership in terms of age, gender, ability and/or willingness to participate? How does your club reflect the profile of the local population? What does a classification analysis of your club show? What skills, talents and abilities does your club want or, more importantly, need for future success? What might your club look like in five to 10 years if you take no further action now? These are very important questions, and the answers may help to develop a foundation for a strong and successful membership effort. So, what to do? So many questions – so little time! Quit lamenting. Form a small, dedicated committee led by a chair who is willing to address the issues and develop a plan. These are not issues to be taken lightly. They require some serious time and analysis. If you think an occasional unfocusedmeeting will solve the problem, you are kidding yourself. Survey the membership using your own methodology or Rotary’s well-developed tools of club or member satisfaction (Google them). Your members would respond if you ask them. The only way to get members engaged is to get them engaged. Is this not obvious? There are those who may not be interested under any reasonable circumstances. You and they have decision to make. Once the baseline work is done, now it is time to accelerate the effort by developing a target list of prospective members and contacting them – one by one. Bring them in as guests or speakers, or invite to fellowship events or as participants in your projects. Focus on your signature projects or objectives as one way to align with their interests. In every community of our district, there must be hundreds of folks who are kindred Rotarians. Let us get our act together and attract a few into our Rotary community.